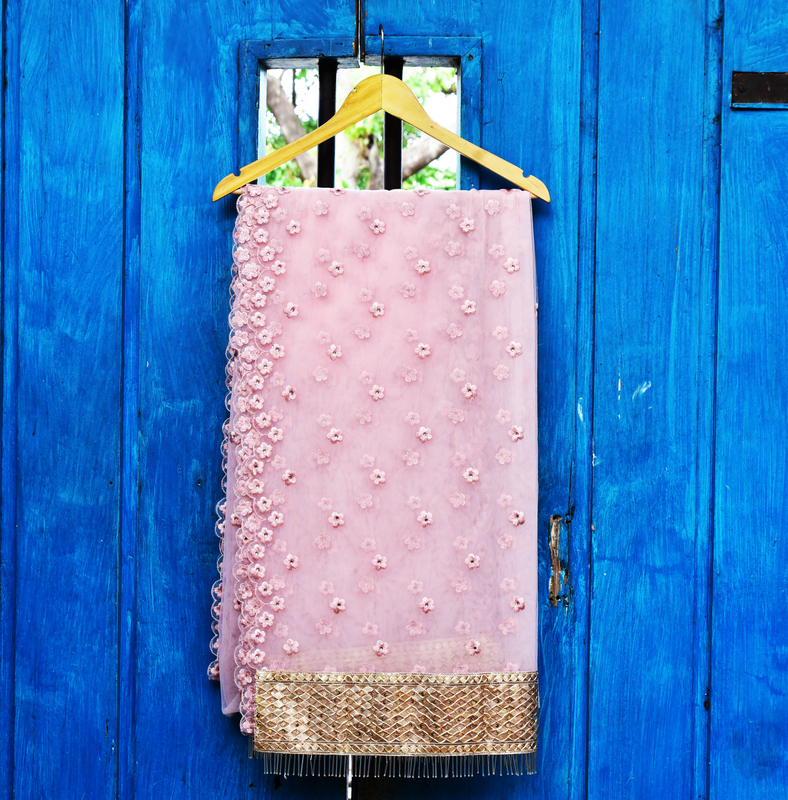 Net saree with a scalloped edge, with a delicate rhinestone encrusted flower motif embroidery. 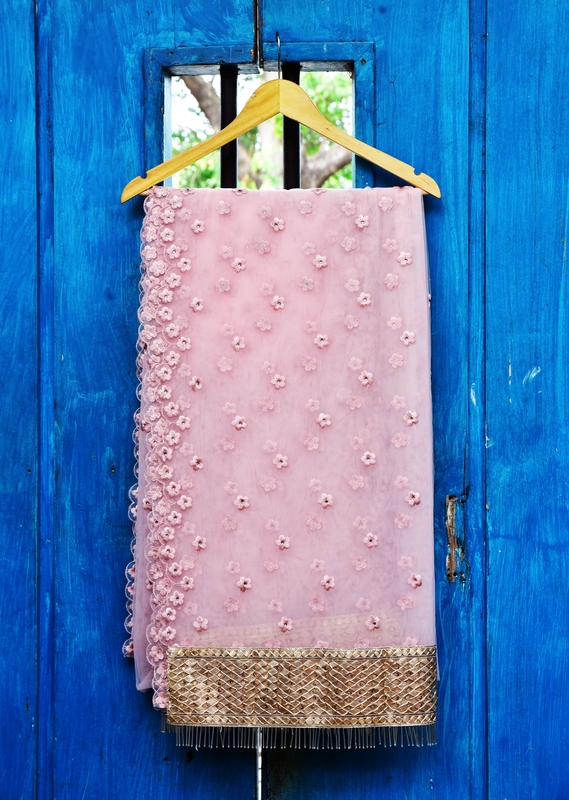 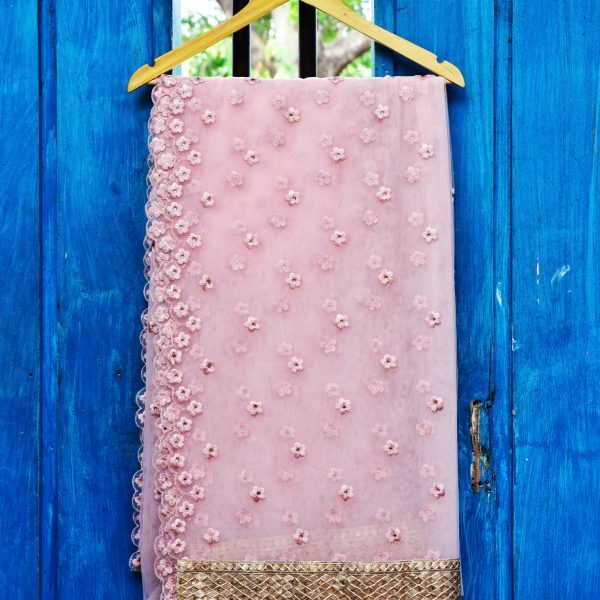 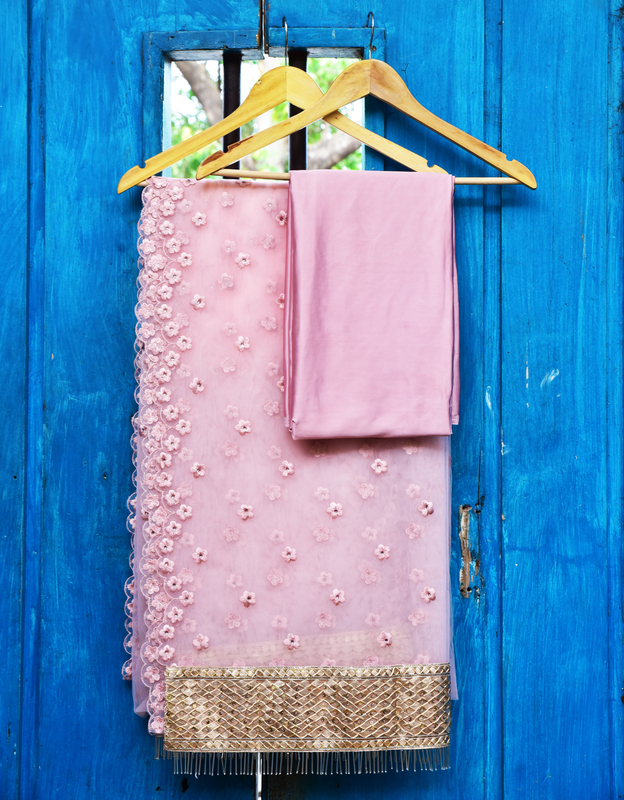 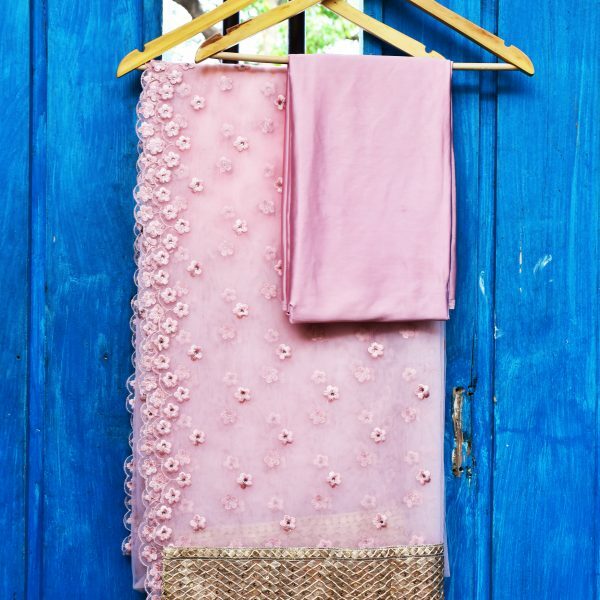 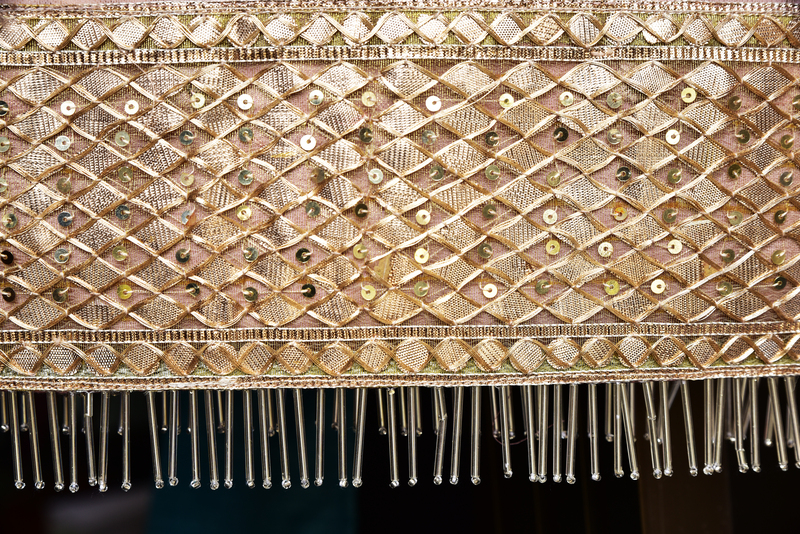 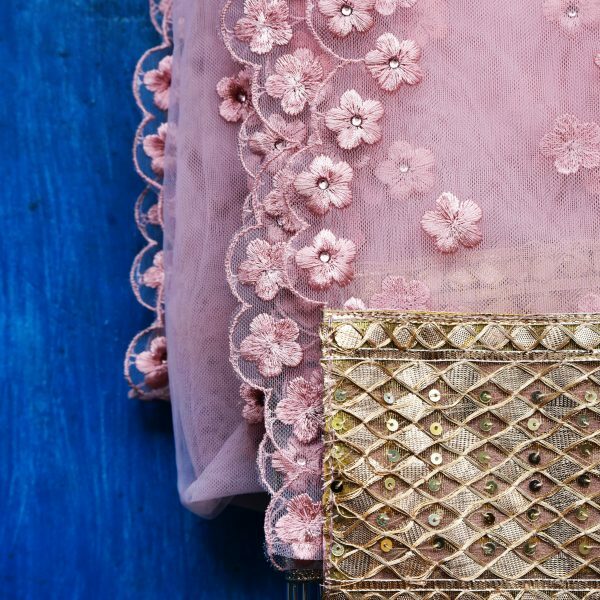 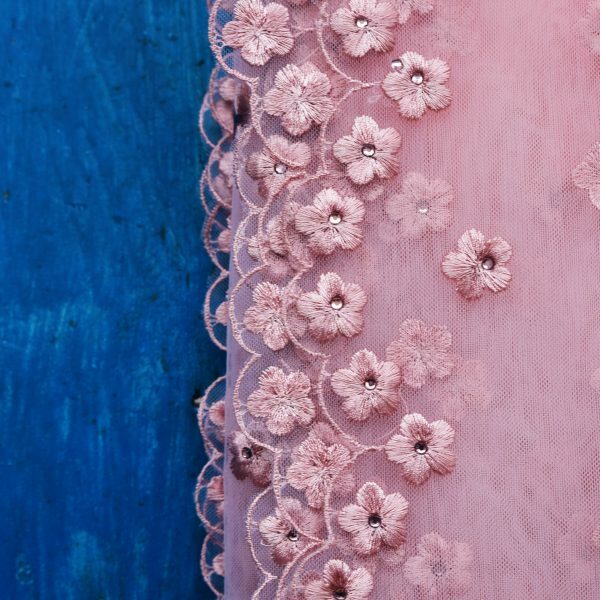 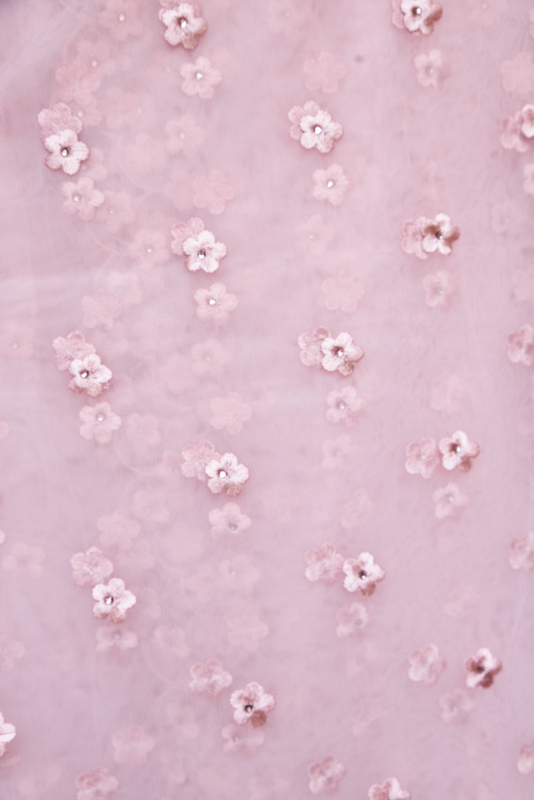 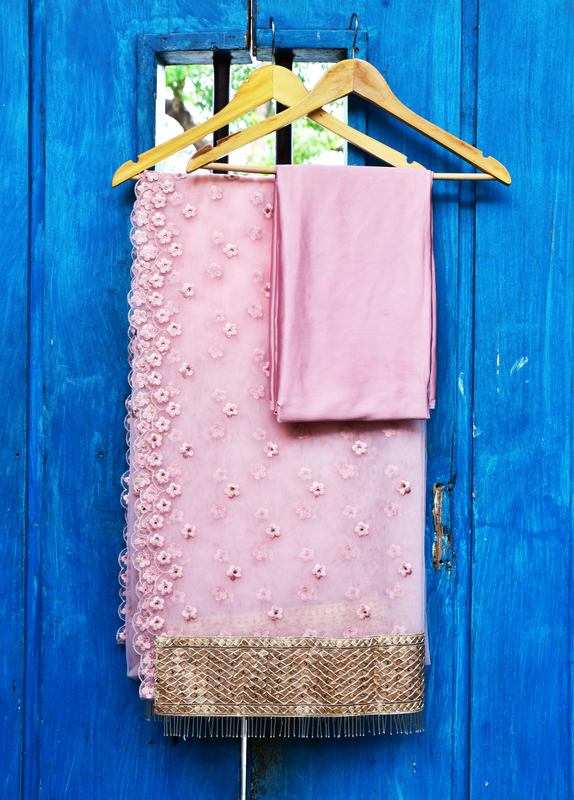 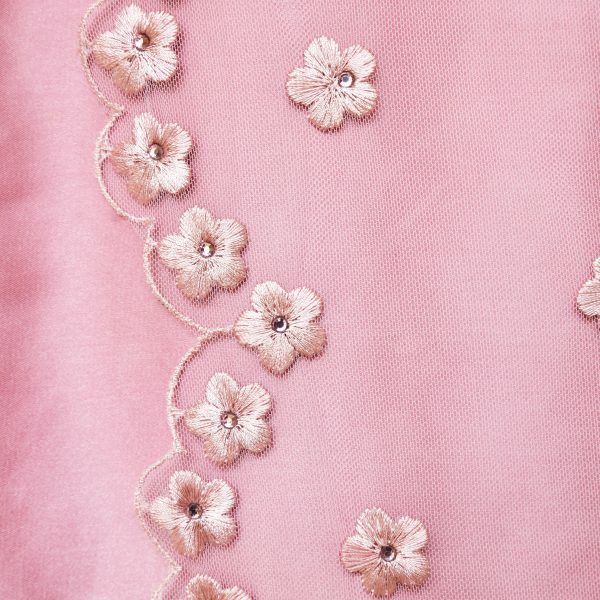 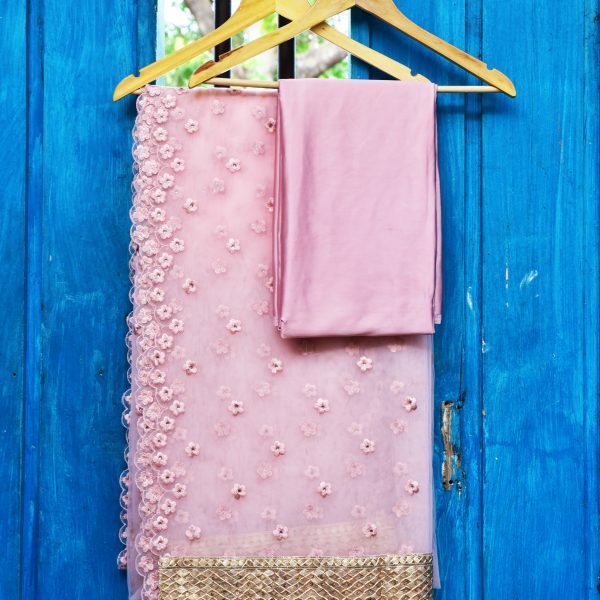 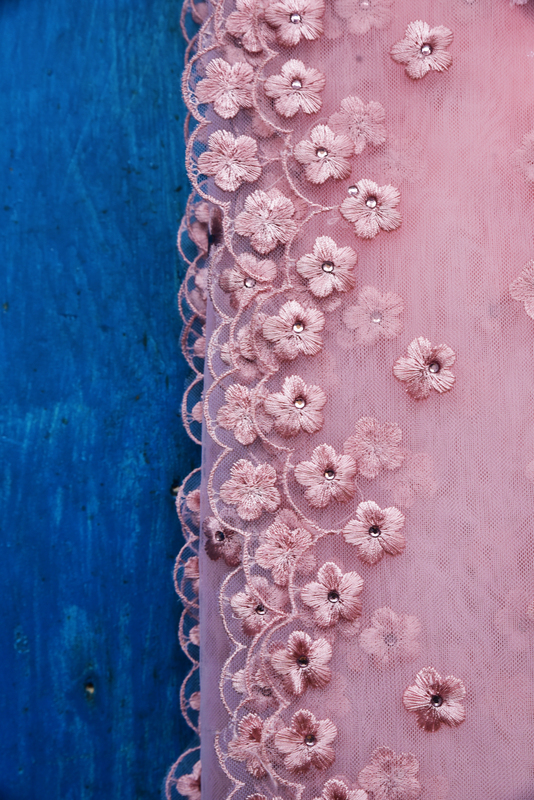 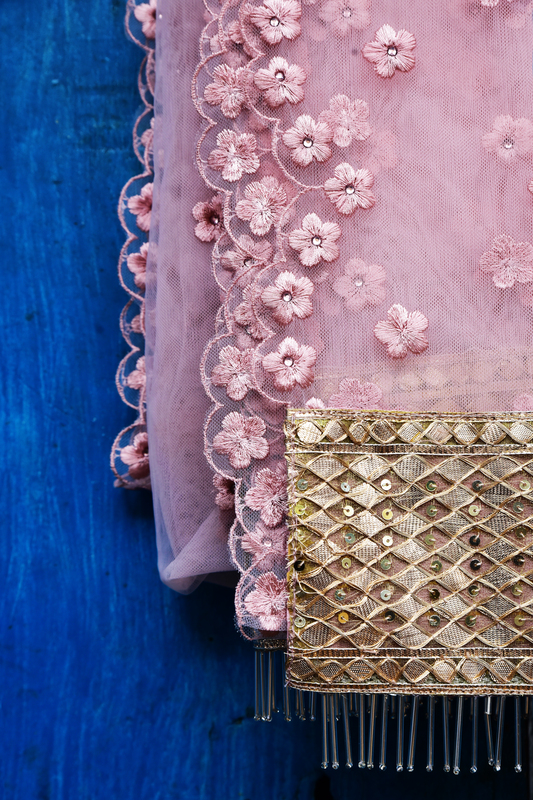 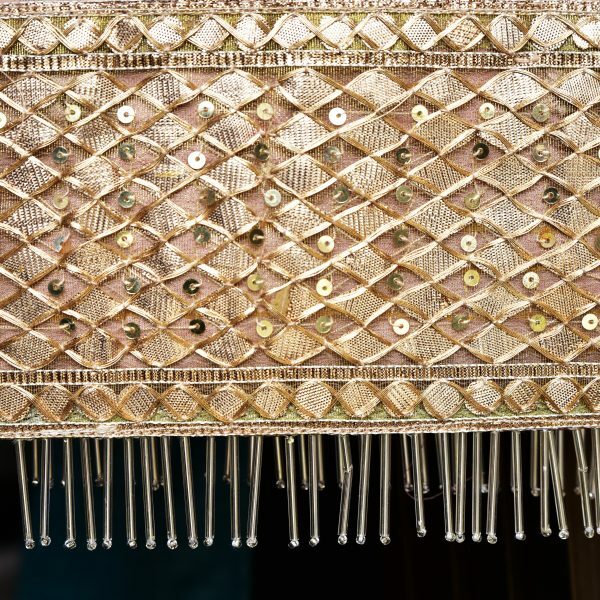 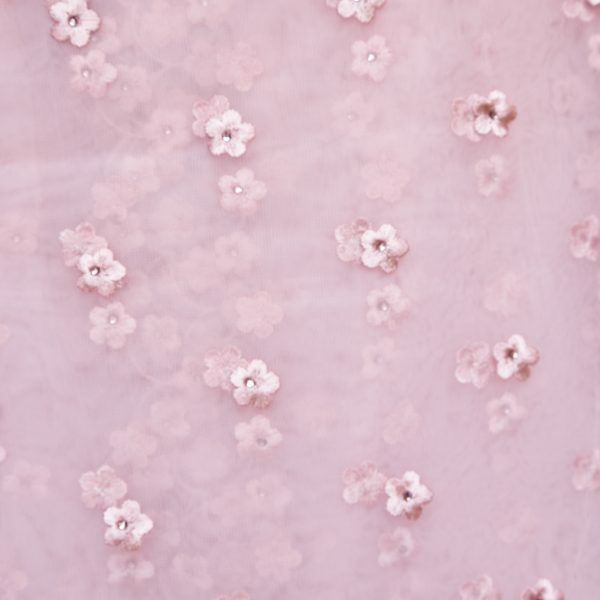 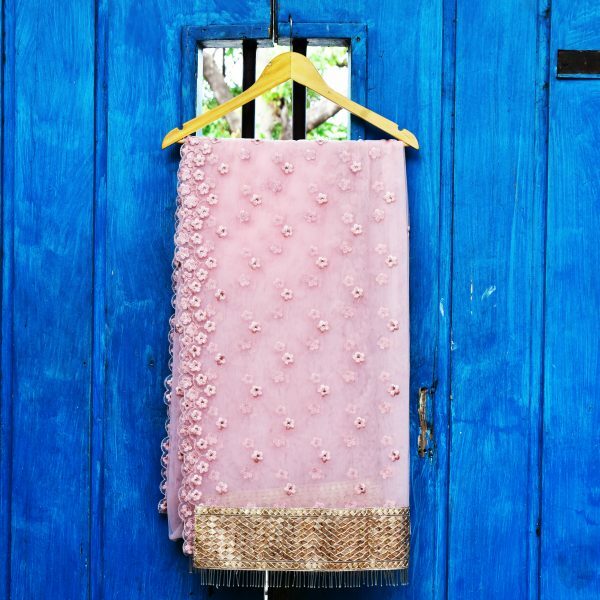 Rose gold zari and sequin border on the pallu of the sari. 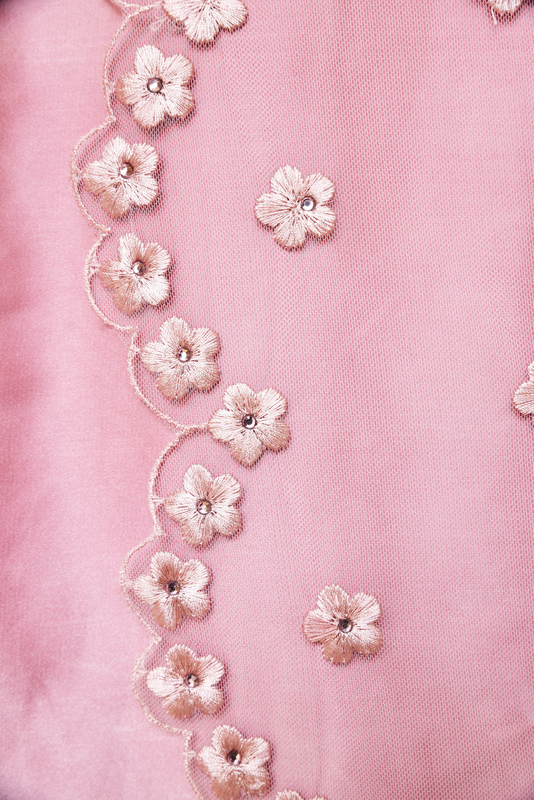 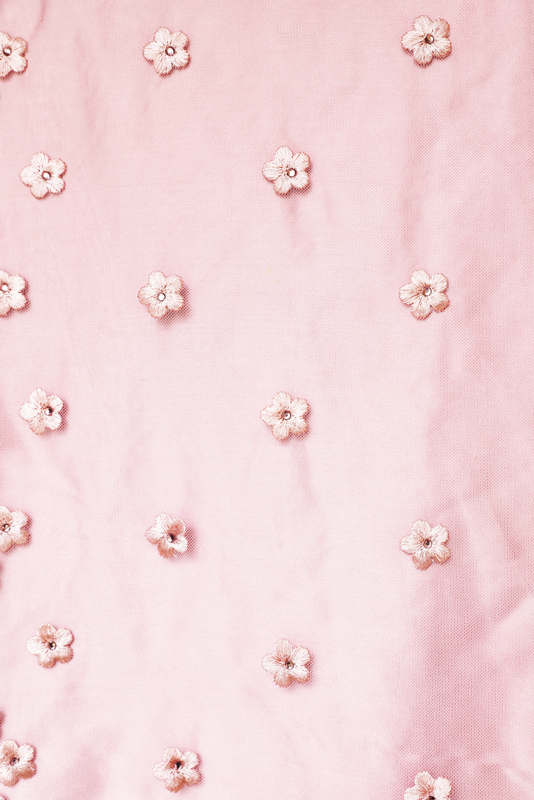 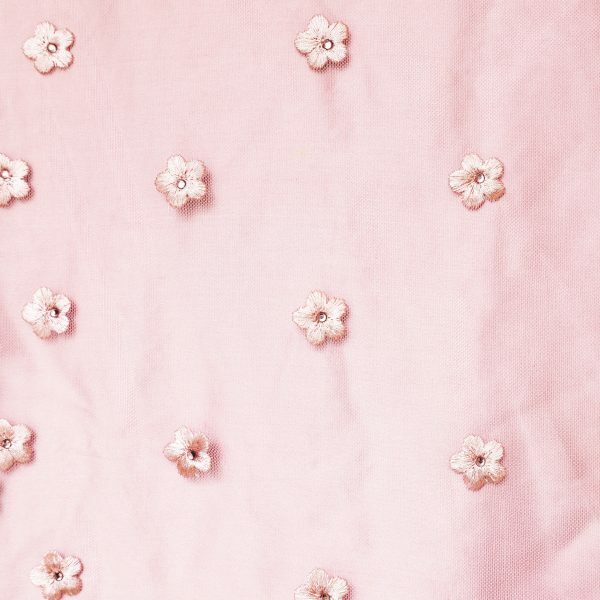 Matching pink silk blouse and petticoat provided.